A deeper-than-you’d-expect look at using loopholes in the CSS spec for ‘commenting’ out certain CSS properties without doing it the intended way. 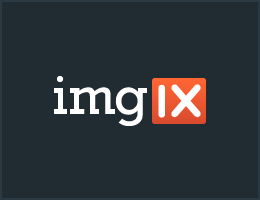 With imgix, integrating responsive images into your site could not be easier. imgix is fully-compatible with the srcset attribute, the picture element, and Client Hints. Learn how to start delivering responsive images in less than 30 minutes. When a parent/child relationship is evident visually, but isn’t represented in the DOM, ‘aria-owns’ can be used to establish that relationship in the accessibility layer. As of the latest Windows Insider Preview build, Edge supports srcset, sizes, and picture, a ‘suite of technologies that make up responsive images’. Even if you’re not interested in Edge, this post looks at how they work. A quick look at the techniques you can use to detect and control screen orientation changes from an HTML5 game developer POV. A discussion of some methods for making your apps available offline and an option for doing so in one line without relying on ServiceWorkers. The InputDeviceCapabilities API provides details about the underlying sources of input events via a ‘sourceCapabilities’ object. Web Applications Engineer at Nest Labs.